Observe, understand, and increase awareness of our coastal ocean - promoting knowledge, economic and environmental health through strong regional partnerships. Apply today to be the next Vembu Subramanian Ocean Scholar! This year’s award value has increased a thousand dollars to $3500. Deadline to submit proposals is May 24, 2019. Visit the website for more information. 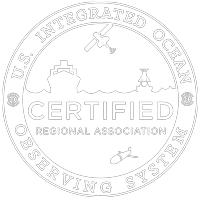 The Southeast Coastal Ocean Observing Regional Association (SECOORA) works with stakeholders within the four southeastern states – North Carolina, South Carolina, Georgia, and Florida – to monitor our coasts and ocean. SECOORA provides coastal and oceanographic data and products to communities, state and Federal agencies, and industries within the region. Join us for a free webinar on April 23 at 12 PM to learn about NOAA’s Phytoplankton Monitoring Network. It is a citizen science program in which volunteers are trained to look for the presence of organisms that could potentially cause a harmful algal bloom. SECOORA is honored to announce the 2019 SECOORA Data Challenge winners. The two projects chosen clearly communicated benefits to specific user groups, expanding prospective use of web camera data for environmental monitoring. Meet the winners and learn about their projects. The Closing the Gaps campaign has been a huge success and has led to growth in the IOOS Regional Association budgets since 2016. The SECOORA region has benefited immensely. Funding was distributed to SECOORA to purchase two new and four used HF radars which will be deployed across the region. Additionally, SECOORA purchased a G3 Slocum profiling glider which will increase our number of glider days at sea.